After a successful start to the Mandala Madness CAL last week, it’s now time for part 2 of the design by Helen Shrimpton. 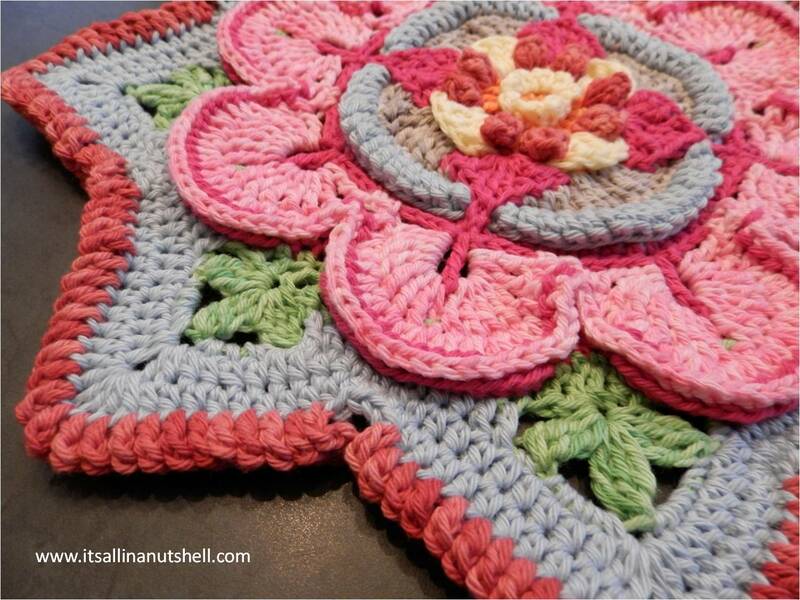 You can find the original, written pattern with many translations on Helen’s blog. All videos for Mandala Madness are available through my YouTube channel and on my blog grouped on this dedicated video page. In the video for week 2 I show you step-by-step how to make the star around the center flower of the mandala. I use two Scheepjes yarns for my mandala; Scheepjes Sunkissed and Scheepjes Cotton 8 with a 3mm (D-3) hook. There are yarn packs available for this CAL in Scheepjes Color Crafter, Scheepjes Stone Washed XL and Scheepjes Merino Soft. Here a list of the colors I used for week 2. I hope to see you next week for part 3 which brings us up to the sneak peak released a few months ago. After that the project is a mystery. Round 22 with your cherry ice..the Trebles that are then folded on row 23 seem uneven on original picture of the last of part 2 of the Mandala ..its all in a nutshell. Your sample seems even. Is there a miscalculation of the stitches? This is where you do 25T then skip the 4sc on the row. thank you. To my knowledge there is no error in the pattern. You could double check with the designer of Mandala Madness. Helen Shrimpton from Crystals and crochet.